Uh oh...you've forgot to begin your holiday shopping huh? It's okay, you still have a few more days to pick up some thoughtful gifts. 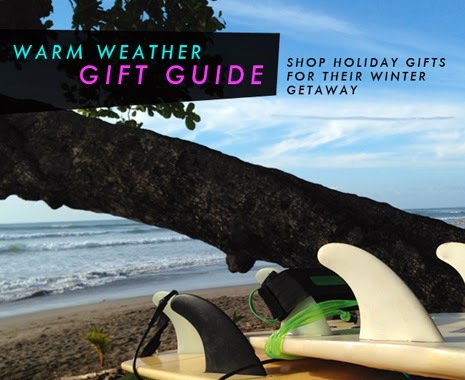 Here are some ideas for warm-weather gifts for your warm hearted friends and family that are planning a winter getaway. If they don't have a flight booked yet, who knows, you might inspire them...and you just might get the invite too. Every Loomstate product has a sustainability story to tell, so that should get you a few extra points at the holiday gift exchange. Ask customercare@loomstate.org if you would like further information on our sustainability efforts.